Angelic Organics Learning Center and the Upper Midwest CRAFT farmer alliance launched the Beginning Farmer of the Year award in 2013 in order to celebrate and promote new farmers growing for our local and sustainable food and farm economy. The winner of this award selects the Mentor Farmer of the Year, honoring an experienced farmer who generously provided mentoring at some time during their first ten years of startup. 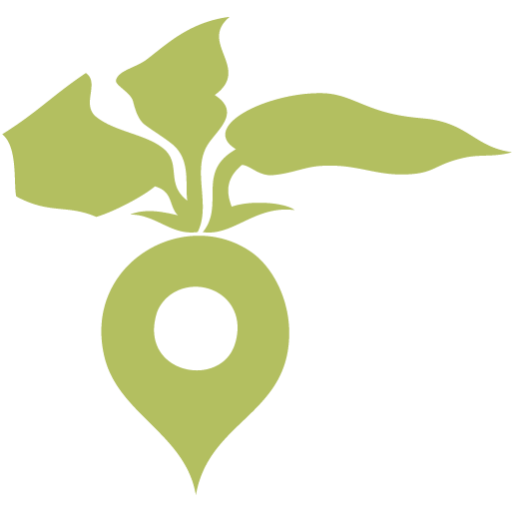 Beginning in 2016, these awards have been sponsored by the collaborating Farmer Alliances in Routes to Farm, serving beginning farmers across the greater Chicago foodshed. Each nominee must be a member of at least one of the Farmer Alliances on routes2farm.org. The winner of the Beginning Farmer of the Year Award and the Mentor Farmer of the Year will be announced at the Good Food EXPO in Chicago in March. Beginning Farmer of the Year receives a $1,000 award in a public ceremony and a free pass to Industry Day at the Good Food EXPO (Friday) in Chicago. Finalists (one farmer from each farmer alliance in Routes to Farm) will receive honorable mention, a $100 award, and a free pass to Industry Day at the Good Food EXPO (Friday). Finalists are selected by their farmer alliance by Friday, January 25th, 2019. Beginning Farmer of the Year is selected by representatives of the farmer alliances in Routes to Farm by Friday, February 8th, 2019. Winners will be notified on Monday, February 11th, 2019. They are presented awards in a public ceremony along with the video of the recognized Beginning Farmer of the Year at FamilyFarmed’s Good Food EXPO in Chicago on Friday, March 22rd, 2019. The Good Food EXPO & Conference is the leading event of its type in the country, and will be celebrating its 15th Anniversary in 2019. FamilyFarmed is delighted to offer Industry Day and special Industry Networking Reception passes (Friday) to the two winners and the finalists. Each Routes to Farm alliance has their own individual submission deadlines and nomination procedures. Please contact your alliance for more information. Tell us about your farm! What is your farm’s name? What farmer alliance in Routes to Farm are you involved with and how many years have you been involved? Tell us how your Mentor Farmer has guided you along your new farm journey. What is new on your farm next season? How are you innovating or growing and why? In addition, the farmer must be a member of at least one farmer alliance in Routes to Farm and in their first 10 years of farm business operation to be eligible for nomination. By submitting a video, the nominee agrees to attend and participate in the award ceremony at the Good Food EXPO in Chicago, if selected as a winner. If the awardee is unable to attend and participate in the award ceremony at the Good Food EXPO in Chicago this will result in disqualification. Broadens the farm’s visibility through features on routes2farm.org, FamilyFarmed.org, GoodFoodFestivals.com and LearnGrowConnect.org as well as inclusion in materials at the Good Food EXPO & Conference which reached 7500+ individuals in 2018 and farmer alliance websites and social media outlets. Features the farm in alternative agriculture publications and local press in collaboration with staff support at Angelic Organics Learning Center and FamilyFarmed. Publicity through Angelic Organics Learning Center, whose distribution list reaches more than 9,000 people. Additional publicity on the distribution lists of Family Farmed, Good Food Festival and participating Farmer Alliances.